Custom cartoon drawing gifts are immensely popular to give as going away gifts to co-workers. I can draw a cartoon however you like about your co-worker and/or friends including an in-joke or two as well. 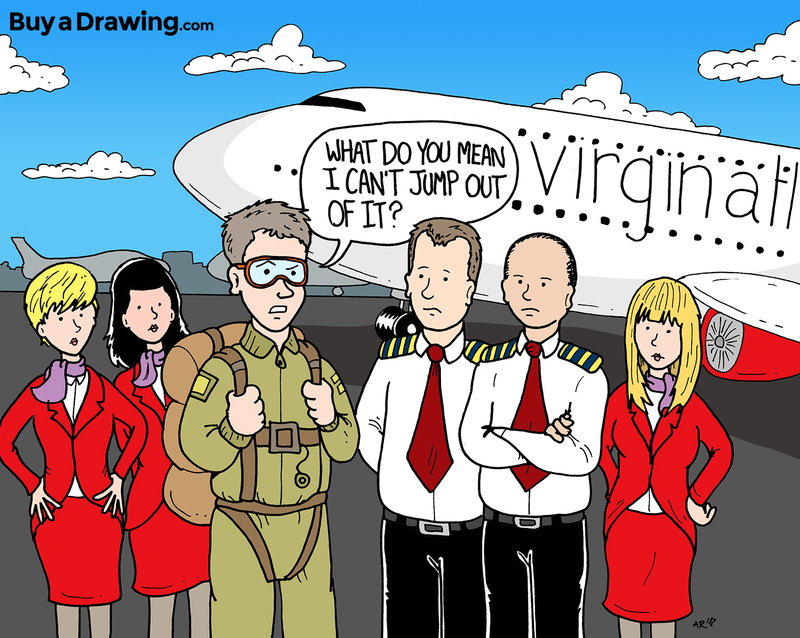 Malcolm S. in Crawley, United Kingdom placed an order with me to draw a cartoon for a co-worker pilot who was leaving. He asked that I include himself, another pilot and a few stewardesses they are friends with in the drawing as well.